Join millions of happy players and become a winner with a choice of some of the most thrilling slots game under the sun, available right here at House of Fun! Enter the powerful civilization of the ancient world and see Egypt Rising right on the slot reels in front of you as you spin for progressive wins! 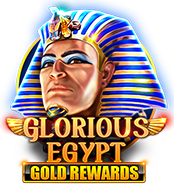 Experience the magnificence of the ancient world when you visit Glorious Egypt in this slot machine with free spins and 5 progressive jackpots. Discover the ancient riches of the Nile through this mysterious Egypt slot and encounter its dazzling ruler, Cleopatra, the Beauty of the Nile. Fairy Bliss will bring winning symbols fluttering into the enchanted wood to award over the moon jackpots, re-spins and free spins in this darling slot game. Follow Belle along the path to the Beast’s castle, full of hidden treasures and sparkling gems. Discover the surprises that await in HOF's slot - Beast. Help Cinderella get to the ball in this fairy tale slot! Complete challenges before the clock strikes to win extra prizes. You'll be piling up coins faster than you can say 'bippity boppity boo'! Feel the power of mighty slot wins when Thundering Thor awards free spins, expanding wilds or strikes with the Living the Dream progressive jackpots. Get the luck of the Irish on your side when you play the Lucky Lassies slot game with its 5 progressive jackpots, free games and scatter feature. Join these posh pups in their glitzy slot machine lifestyle with free spins, sticky wilds and five progressive jackpots when you play Adorbs! at HOF! 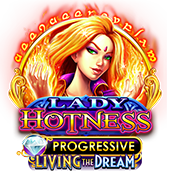 Fire up your gaming experience for the chance at a flaming progressive jackpot or scorching free spins round when you play the Lady Hotness slot. Get revved up for red-hot wins in Rapid Fire Jackpot: Wildfire Slot and watch the temperatures rise as you play for one of 5 progressive jackpots. It's a hot n' spicy slot fiesta! Spin up wild symbols, free spins and 5 Rapid Fire progressive jackpots as you spice up your game in Wild Chilli. Start spinning for extreme wins on the Fire and Ice slot! A progressive jackpot frenzy with wilds, bonus wheels and free games that provide exciting entertainment for all seasons await you. 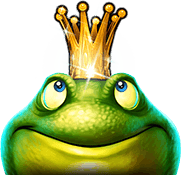 Be transported into a magical world within the Diamond Forest as you scavenge for jewels to win an impressive progressive slot jackpot. Join the stampede towards wild wins as you roam the savannah of the slot machine together with the majestic Buffalo ‘n’ Rhino at House of Fun! Don’t you just love a classic? House of Fun has just the slot game for you in Classic Cash 777, with its whopping free spins game and mystery symbols. 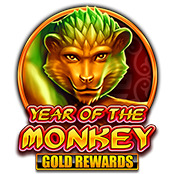 Spin up the ancient magic of the zodiacs in the Year of the Monkey Slot and swing into the Chinese New Year with a lucky coin fortune! Join the myths and legends of history in Warriors of Greece and arm yourself with free spins and 3 progressive slot jackpots in order to win. Smitten will get your pulse racing as Cupid strikes your heart with Wilds, Free Spins and Jackpots on this slot machine! 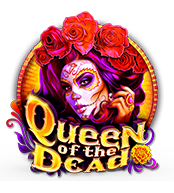 Bring the Queen of the Dead to life with huge wins as you celebrate Dia de los Muertos in this colorful slot with free spins game and stacked wilds. 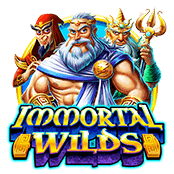 Harness the power of the mighty gods of Ancient Greece on the Immortal Wilds slot game and aim for thunderous wilds and epic free spins. Enter the secret world of the jungle with the Dark Jaguar and play for free spins and the chance to hit an awesome progressive slot jackpot. 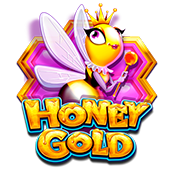 Feel the buzz of winning as you spin up reveal symbols, stacked wild reels and up to 200 free spins in the Honey Gold slot game at House of Fun! Coyote Gold will have you going wild for the free spins feature and randomly-triggered progressive jackpots available on this slot machine at HOF! The majestic cats of Asia offer you many chances to win in the 3 Tigers slot, including free spins, stacked symbols and an exciting jackpot at HOF! Spin up furry bundles of wins in Kitty Gems! Land the sparkling scatter features and super free spins bonuses for meow-packed prizes. Stone Gold is a 5 reel slot game with a mesmerizing Medusa theme that is sure to have you coming back for more wild multipliers and free spins.